The actions are part of a larger political strategy aimed, in part, at showing that Republicans are more willing to directly tackle anti-Semitic hate speech and anti-Israel language than divided Democrats in the lower chamber, Republican aides and operatives said. But hate speech has hardly been a longtime cause célèbre for the Republican Party, whose members have opposed efforts to expand similar protections to victims of discrimination based on gender and sexual orientation. One measure, a “sense of the Senate” resolution, is intended as a direct rebuke of comments made by Representative Ilhan Omar, Democrat of Minnesota, who suggested that some American Jews had dual loyalties to both Israel and the United States. The bill, sponsored by Senator Ted Cruz, Republican of Texas, could reach the floor as early as this week, leadership aides said, and is likely to be passed unanimously or with only minimal opposition. 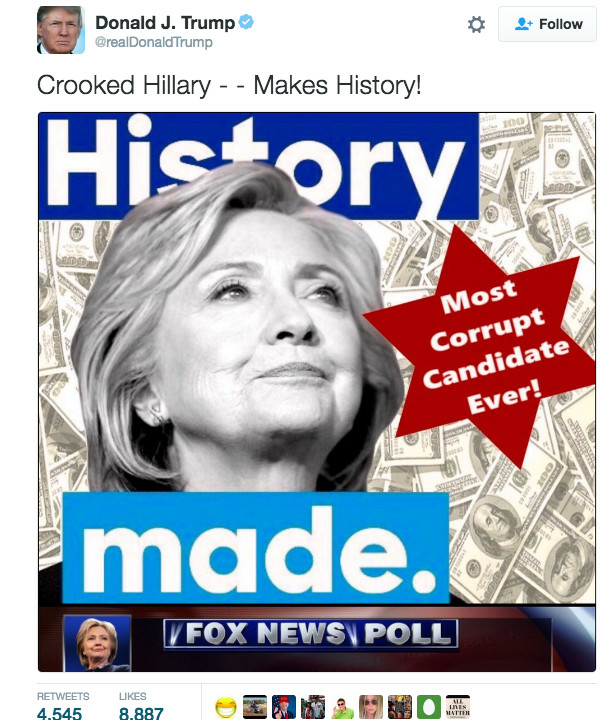 So Republicans can complain about Dems using anti-Semitic tropes, yet stand firmly behind a president who used overt ugly anti-Semitic attack ads like the one below and supported anti-Semitic right wing hate groups - consequences apparently only apply to Democrats who are all too willing to fall on a sword. Thomas Friedman has an interesting opinion article in the NYT. Trump is supporting Netanyahu. That support creates problems. By indulging Prime Minister Benjamin Netanyahu in his quest for permanent Israeli control over the West Bank, Trump, the Congress and the Israel lobby are going to create a situation whereby the Palestinian Authority in the West Bank will eventually collapse. The Palestinians there will then say to Israel, as some already have, that they want Israeli citizenship. Israel will then find itself ruling over 2.5 million Palestinians with the choice of either sharing power with them on the basis of equality or systematically denying it to them. When that happens the debate over what Israel should do will rip apart every synagogue, Jewish Federation and Jewish institution in America — including Aipac. As long as there was a credible two-state solution on the table, that debate was muted. But once that option is gone, all hell will break loose in the Jewish world and between progressives and Israel’s supporters on every U.S. college campus. It’s already started. This might not be a win for the GOP. Dear Lord. Corbyn is *even less popular* than Theresa May, despite all the Brexit madness. Just for fun I googled "ilhan omar corbyn" got "About 595,000 results". Didn't click on anything but one can already see the prep work that has gone into this meme by serious conservative media and also a lot of noting the comparison in main MSM news. I'm sorry, her naive trolling did tremendous damage to her and to the party which is very hard to undo. You don't troll tropish on this unless you want it to dog you forever. You can do the whattaboutism all you want, is not going to convince me any different...i.e., the monster Steve King. Right! Were you going after the monster designation among swings, too? Is that what you really wanted? Monster designation? IDF confirms it struck Haniyeh's office. Sirens are going off in southern Israel now, suggesting that Palestinian factions are opening fire amid the ongoing Israeli air raids. Leave us dupes alone! we may be easy to fool, but we serve a purpose. Somehow. This is genocide! "When that happens"? They are already ruling the Palestinians and systematically denying them rights. “This legislation appears designed less to combat anti-Semitism than to have a chilling effect and to crack down on campus critics of Israel,” Jeremy Ben-Ami, the president of J Street, a liberal advocacy group that has been sharply critical of Israel’s government under Prime Minister Benjamin Netanyahu, said in a text message. But in the past, the bill has had widespread support among lawmakers in both parties, and it has the backing of Aipac and the Anti-Defamation League. It also has the support of a powerful outside advocate: David Krone, the hard-driving former chief of staff to Harry Reid, the former Senate Democratic leader, who has used his contacts in the party to push the measure for several years in response to a wave of anti-Semitism on college campuses. Ms. Omar’s spokesman did not immediately return a request for comment. Top Democrats are hardly ready to cede support of Israel to Republicans. Representative Steny H. Hoyer, the Democratic leader, gave a rousing defense of the American-Israeli relationship at the Aipac conference Sunday evening, promising to push for a resolution that opposes the boycott Israel movement. Without naming her, he took several jabs at Ms. Omar. “Ladies and gentlemen, when someone accuses American supporters of dual loyalty, I say: Accuse me.” Mr. Hoyer declared. And I looked up Krone, and before he worked for Reid, he had a lot of lobbying jobs, but none of lobbying was related to Israel stuff. And here is a NYTimes April 2015 piece saying he's quietly leaving the Reid job and future plans unknown. So it's kind of a mystery what he's doing now. Anybody else got a clue? What does it mean to be a citizen of a country? Is it merely an article of convenience? I've read that during the Iraq war some American citizens with dual citizenship with Canada would identify as Canadians to avoid the backlash against Americans over the war. Some Americans would travel with backpacks with Canadian symbols and flags to attempt to appear Canadian even when they weren't Canadian citizens. Is citizenship as meaningless as that? All immigrants must swear an oath of citizenship to the US to become ciitzens. That's a rather comprehensive and severe oath. When I joined the Army I had to swear an oath of enlistment. Frankly I barely paid attention to it. I just mouthed the words. In fact since it was done in a group of about 20 people some of the time I didn't even mouth the words. I just flapped my jaw for appearances' sake. Is that what immigrants do with the oath of citizenship? There are quite a number of Americans with dual citizenship with other countries. Canada, Saudi Arabia, Israel etc. There are several dozen congress members and senators with dual citizenship with Israel. How is that not a conflict of interest? How is that not dual loyalty? Or is citizenship meaningless? Great re-direct to big picture. I ain't got no answers for ya, though, except for "common good" theory and the E Pluribus Unum theory of new world countries formed from Enlightenment ideas. Especially not in a globalizing world where people afraid of individualism either cling to old tribalism or create new tribalism in the face of nationhood breaking down. Though I've loathed the "my country right or wrong" set since I was a teenybopper, I still don't see anything wrong with being patriotic to an ideal rather than to genetics or tribe. So I guess I'd say if you hold a passport for two countries and the ideals of each are contradictory, theoretically I've got a problem with that. Particulars and actualities are a different story, though, as each citizen does not have the ability to affect policy that is employed at any point in time. The relationship between American Jews and Israel has been further frayed by the actions of Prime Minister Benjamin Netanyahu in aligning with the racist right (a move AIPAC publicly condemned) and in suggesting Israel is “only for the Jewish people” (a remark for which he later apologized). The diaspora feels the religious right in Israel aims to write off non-Orthodox Jews and to create new points of contention including segregation of women praying at the Western Wall. A younger generation of Jews feels less connected to Israel. In other words, there is plenty to fight about. One poll I saw said that three-quarters of American Jews under 36 are unsympathetic to the Netanyahu government, and a number are unhappy with Israel being a Jewish state rather than the state of all her citizens. I imagine the "Jewish state" question is more complex than that - I'd be fine with a Jewish state if they hadn't built it where there were other people. I can also sympathize that Jews being such a magnet for world hate, continuing a Jewish state is important in not becoming a minority, even as the idea of treating non-Jews not just as lesser citizens but lesser beings is anathema. I'm a bit older (and not Jewish) but can imagine I track pretty close to the majority sentiment , it ain't that tough, except it is. It's complicated because religions are usually a choice, not an ethnicity you were born with and can't change. It goes to Fukuyama's idea of tribalism vs. a national creed of choice. Virulent anti-Semitism became genetically based in the 19th and 20th centuries and a lot of the world supported the creation of Israel because that happened. But unfortunately, to continue the state as an ethnically tribal one, rather than basing it on a national creed (in this case, a creed that would include a religion you'd have to convert to) flies in the face of global values, it reinforces the ethnic cleansing thing. Genetic tribalism always causes this conundrum. Not to say that religious war isn't a nasty thing, too. But it's a creed, a choice. Convert if you want to be a citizen, or go find another country is a different thing, is tribal by choice, a national creed. Once you think of it that way, it becomes easier to see the problem: there really is no difference between a U.S. Constitution that provides for freedom of religion and a Pakistani one that says it's a Muslim state. Most religions are a choice but Judaism has mostly incorporated genetics into it's religion. It's not just outsiders that made the distinction and forced it on Jews. If one is not born into the religion it's extremely hard to convert. If one is born into it it's automatic. I'm not trying to make an invidious comparison, just an observation. I don't care how religions decide who can be members. But your comment doesn't fit how Judaism mostly defines itself. Yes. But I think that the world picking up on that and reinforcing it in the 19th and 20th centuries is why we are at where we are at. I.E. Jews were assimilating in places like Germany....they were proud German citizens of generations standing...and many were rejecting the combination of the ethnicity with the religion. But the trajectory of amping up the anti-Semitism wouldn't let that continue to develop. Victor Klemperer, in his 1000+ page diary on life under the 3rd Reich, mentioned how he believed Zionism mirrored Nazi racial politics. I don't really know how wide spread the disagreements are between various Jewish factions but it's not just the worst enemies that claimed Judaism is about race and blood. My moderate Jewish relatives were clear that they considered my dad Jewish because his mother was Jewish even though he wasn't raised Jewish, never went to synagogue, and joined the Luthern church of my mother. I was not Jewish because my mother was a Luthern. The maternal blood line was the determining factor informing their opinions. I suspect attitudes are going to change with the next generations in a lot of places, not just the U.S., because a lot of the Sunni states are quitting with the feeding of anti-Semitism as a useful distraction from their own problems. For good or ill there's a lessening of using the Palestinian cause as a cri di coeur. What happened? Syria for one thing. Massive reshaping of the mideast dynamic.Iran power grab, with Russia's help. ISIS the catalyst, not to mention results of neo-con adventure in Iraq. Israel is just one little country. I.E., Jordan's got a real big Syrian refugee problem...to paraphrase Rick in Casablanca the problems of Palestine don't amount to a hill of beans in this crazy world. You might like this history book "Tragedy and Hope" by Carroll Quigley that Clinton used to rave about, referring to 4 Empires - this being finally the taming of the 3rd, the Chinese still a wildcard, the Soviet turned Russian and still a thorn but not much of an Empire. Politically, there is zero down side to her bashing Netanyahu, actually, it is what she should have done in the first place. Anyone American that supports Netanyahu is no doubt not very open to voting for Democrats. I suspect she is listening to people who are helping her be savvier politically about her goals. Still, it will be a long haul to undo the damage to her "brand" that she herself did. Once again, it struck me how much savvier some of her Somali immigrant constituents seemed to be then she was with the intial brouhaha. Overall, public views on Israel are much more ambivalent and indifferent than those of Beltway elites.